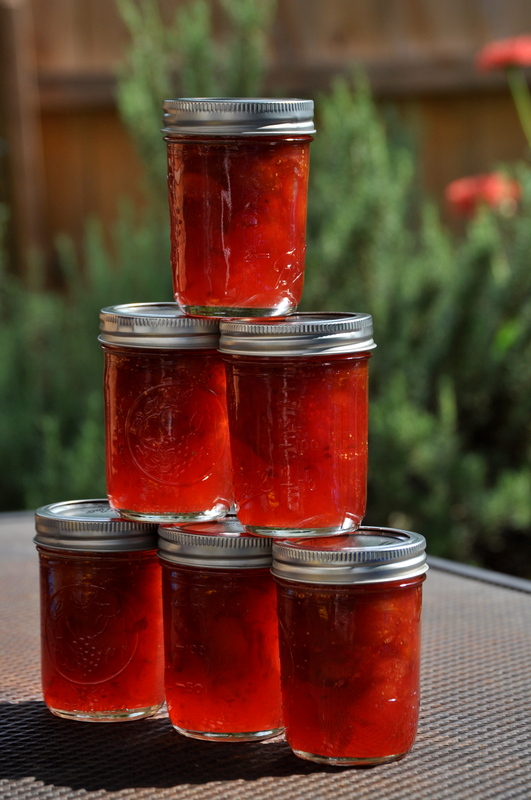 I look forward to this time each year, when the figs are ripening and I can spend an afternoon in the kitchen making fig preserves. My grandmother made fig preserves each year, so making my own brings back memories of her. I don’t have a fig tree of my own, so when my uncle called and said his figs were ripening, I had to make it point to go by after work and pick. My uncle actually owns the house and land that used to belong to my grandparents, so I was picking from the same tress my grandmother used to pick from, and that made it even more special. 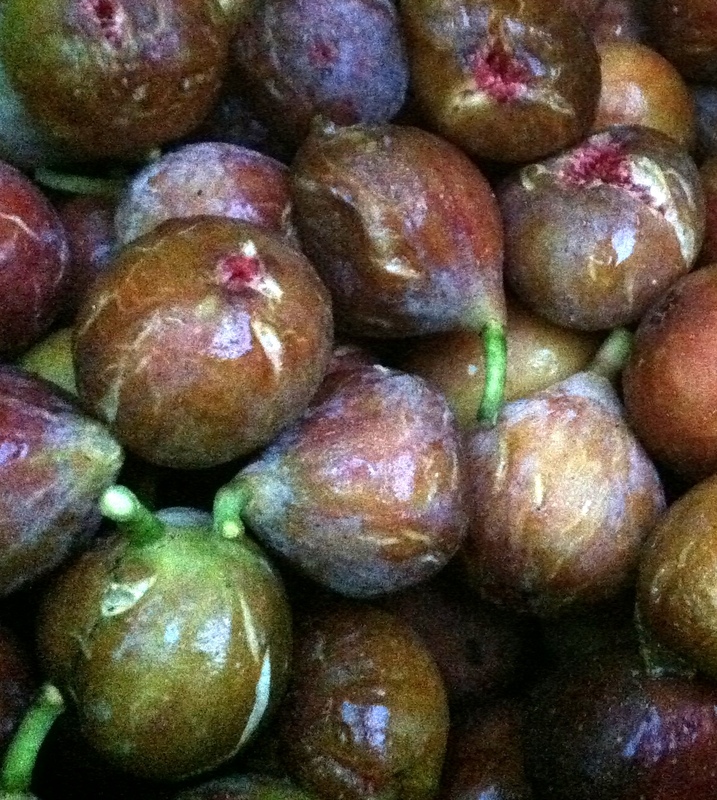 I picked about two gallons of figs, and got about 17 pints of preserves from it. I’m not sure what kind they are — Celeste maybe. 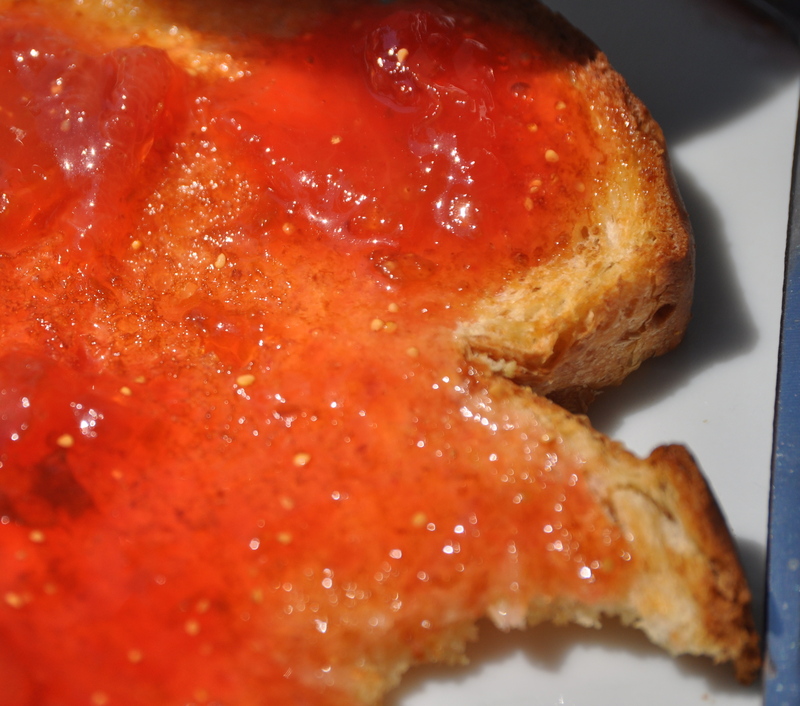 I love the color of the preserves. 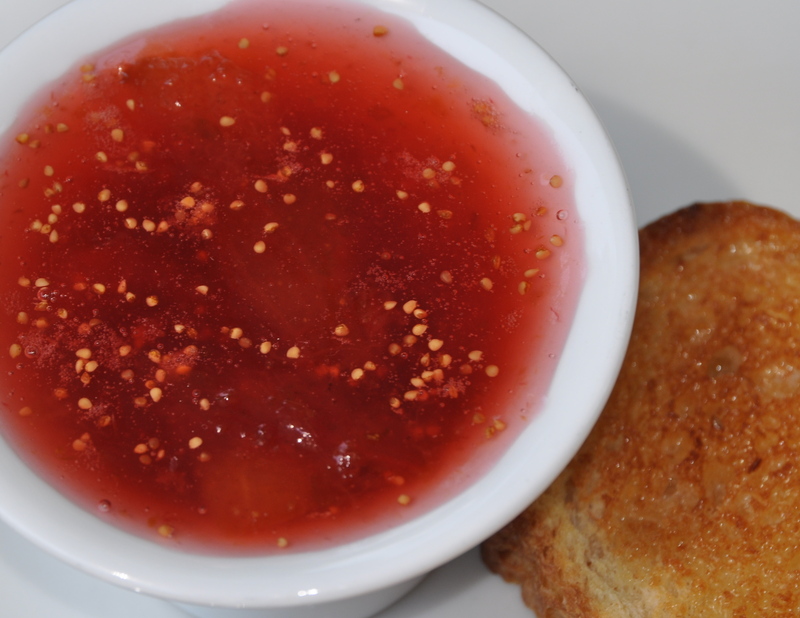 Usually fig preserves is brown, but this ended up being very pink. It’s beautiful! And it’s delicious too! Mmm, Mmm! I used the Sure-gel recipe, minus the water. Honestly, I just forget to add the water, and it turned out wonderful without it.